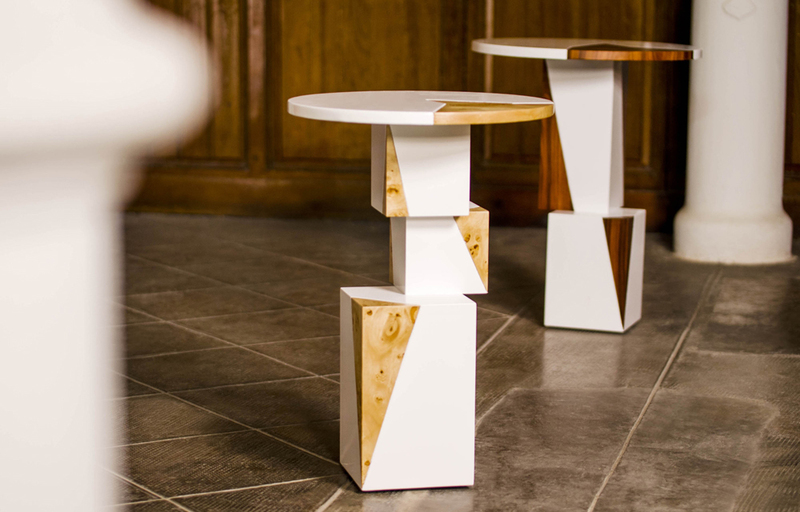 The Equilibrium table collection suggests a reflexion on men kind and his actions towards nature. 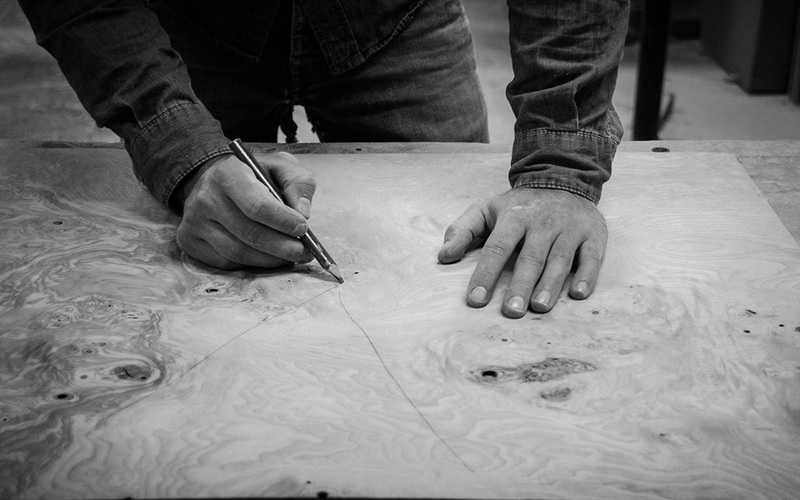 The hardwood struggles to not lose its prominence in an artificial world. 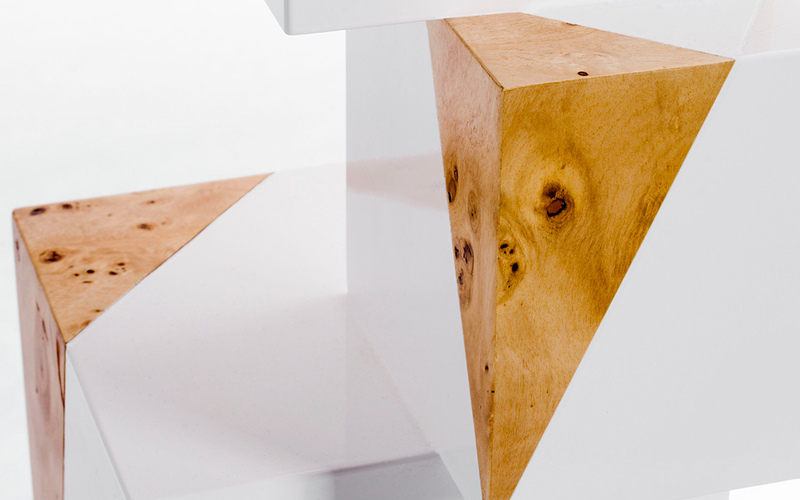 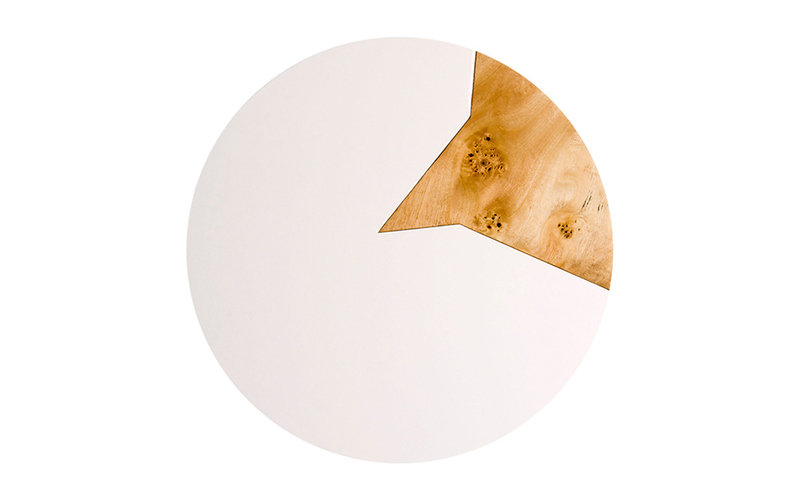 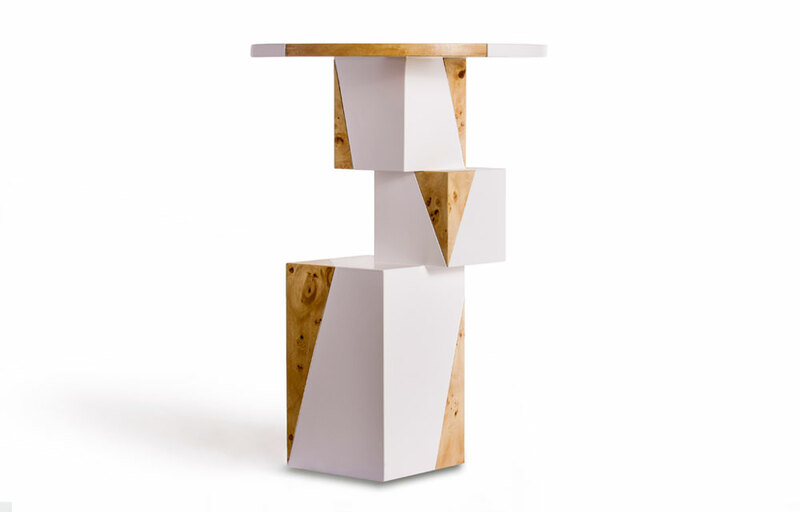 A singular piece composed of white forms and triangular sections of natural wood.